Whether you are visiting for business, pleasure or both it can be difficult to pack for a trip to Paris, France. 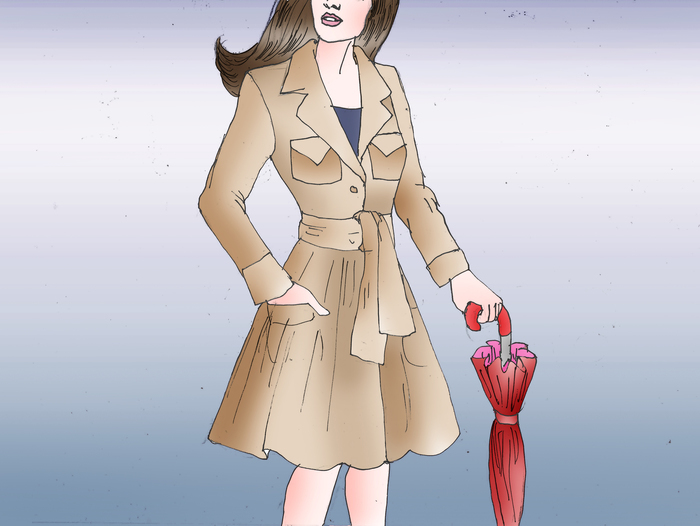 The outfits you select must be practical for frequent outdoor walking in unpredictable weather. Many visitors also strive to dress fashionably in order to better fit in with the famously stylish Parisians. When deciding how to dress in Paris, it is important to find the right combination of substance, elegance, comfort and creative flair. Consider the weather during the time of the year you will be visiting. Though Paris doesn't experience extreme temperatures by any stretch of the imagination, you'll be glad you're dressed for the occasion -- especially if you're spending hours upon hours outside. Average temperatures are 5 degrees Celsius (41 degrees Fahrenheit) during the winter, and 20 degrees Celsius (68 degrees Fahrenheit) during summer. Clothing that can be easily layered is ideal for any time of the year, since nights are often cool during warm months, and sunny days can heat up even during winter. Spring is the driest season. Showers during all other seasons are frequent but short, and they often occur without warning. Significant winter snowfalls are rare, but not unheard of. Many Parisians carry umbrellas at all times, and many visitors during winter months pack boots in case of snow. Pack clothing that is practical based on your plans. You'll need a comfortable pair of shoes (not your tennis shoes! Think dressier) at the very least. If your idea of Paris is tea rooms and shopping down the Champs-Élysées, you'll need to pack a little differently than if you'll be jogging up le Tour Eiffel. What's on your itinerary? Business attire is appropriate if you are traveling for work. Dark-colored suits are common for men and women, and women also wear conservative, neutral-toned dresses. Sightseers should dress comfortably, since touring Paris involves a great deal of walking. It is important to keep in mind that the French tend to dress more formally than others for everyday activities. Khakis, button-down shirts, sundresses, designer jeans, skirts and sweaters are common on the streets of Paris during the day. Forgo tennis shoes for comfortable loafers or sandals. Dresses and jackets are appropriate for evening dining. Leave the workout clothes at home. Or at least in your hotel! If you put a woman in sweats and a woman in a miniskirt, Paris just might be the only city where it's the woman in sweats that's getting stared at. If you're hitting the streets (especially at night -- during the day is a bit more lax), leave the leisure wear to the Americans. Paris is about fabric and fit. There are no sweatpants that are about fabric and fit. Same for shoes -- those tennis shoes of yours don't really match anything. 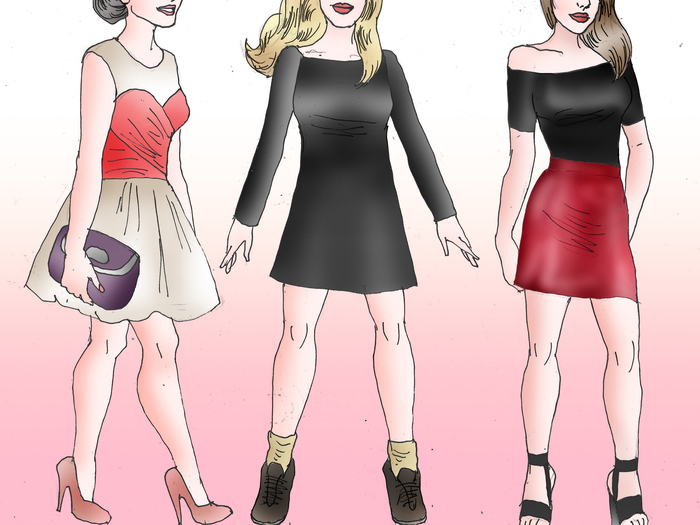 They definitely won't blend in at the bistros and discotheques you plan on hitting up! Know that black is always in style. Seriously. It's slimming and it's classy and it hides stains? Wonderful. It can be donned any time of year, too. Just jazz it up with some jewelry or a scarf (definitely a scarf!) if you're looking for a pop of color. Neutrals are always a safe bet. Black, tan, navy, brown, white, beige, grey -- it's all good. Not to mention packing mostly neutrals means you can combine everything in your bag for maximum outfit potential. Everything matches! Keep everything simple. Parisians know that loud and eye-popping is basically the opposite of classy and sophisticated. Whatever you're wearing, keep it simple. No logos on your bag (and a tote, messenger bag, or handbag is okay), no rock band tees, just a plain button-down with some dark slacks. Timeless, really. Some might describe Paris as "unisex" and that wouldn't be far off from the truth. 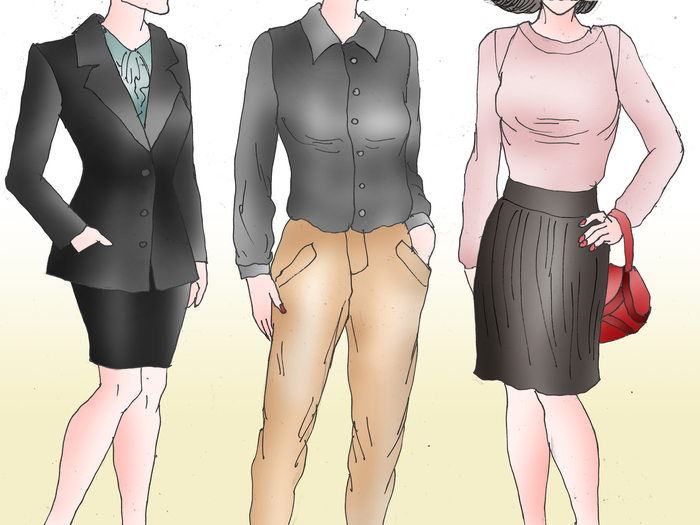 While women and men obviously differ in their styles, there are a lot of commonalities. 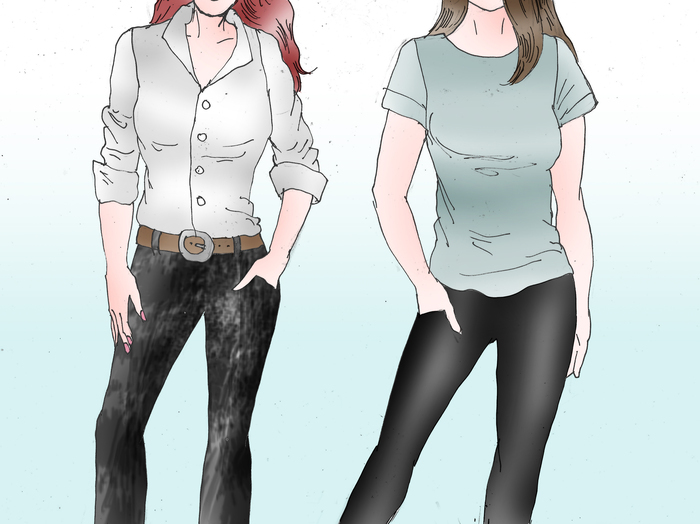 They both can often be found in sweaters, jackets, and plain tees with slacks, dark denims and boots or sandals. The staples are all the same basic, understated pieces. But don't be afraid to accessorize! 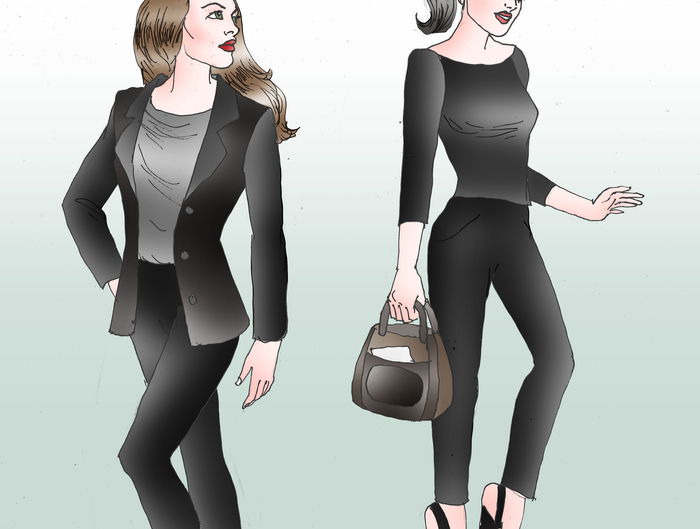 Even though black and simple are two key points to dressing well in Paris, it doesn't mean you should be in your funeral best. With those black slacks and that cream top, throw on a scarf, jacket, a necklace and some bracelets. Chunky and dainty combined! 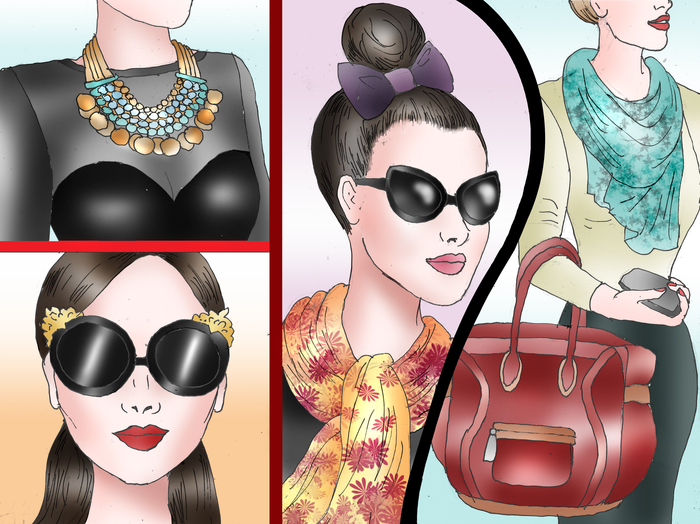 Scarves are all the rage -- Parisians know the small addition can take a dull outfit and bring it all together. If you don't have any that you like for what you're packing, it's not hard to find them lining the streets! Keep your belongings safe. Crime in Paris is a thing, especially in certain areas. Have something to keep your money, ID, phone, camera, or other valuables in that can't be easily taken from you. Don't store your items in your back pocket or in an open purse. It's basically asking for it. 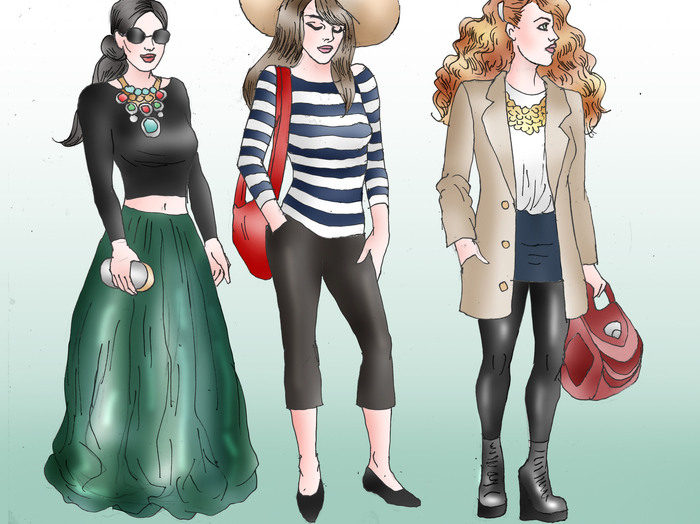 Participate in Paris's fashionable culture by putting together creative outfits. Let the origin of haute couture inspire you. Take your pieces and put them together in ways you haven't before. Paris has truly seen it all, so go out there with your head held high, whatever you're wearing. Paris is known as the fashion capital of the world. It is not uncommon to see people in daring, attention-grabbing outfits. If you're looking for a place to go out dancing in spiky heels or a feather boa, Paris is an appropriate location. A wardrobe full of name brands might make you feel more at home among some of the world's most fashionable, but it certainly isn't essential. As long as your clothes are flattering, well taken care of and stylish, you will fit in among the Parisians. Draw from the locals. As you go out and about, be observant. You'll probably see a bit of everything -- just because they're Parisian (assuming they are) doesn't mean they're not also a whole bunch of other things. How do they infuse their own styles into their outfits? What can you learn from them? You'll see women wearing floor-length skirts, you'll see men wearing leather jackets, you'll see denim despite it's poor rep. You'll see hipsters, you'll see boho-chic, but somehow it all still seems so French. Tune into the differences and pinpoint what appeals to you. 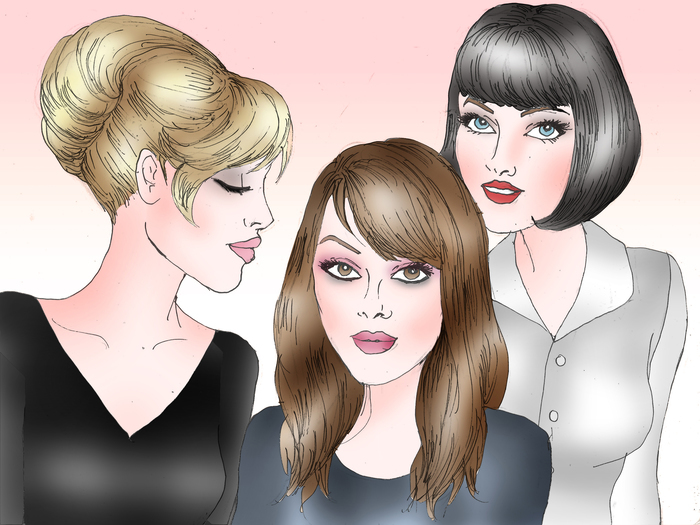 Keep your hair and make-up minimally styled. One of the best things about French culture is that its beauty is real. Women throw up their hair into a bun in seconds and call it a day. Everyone takes advantage of their natural beauty instead of covering it up. So spend five minutes in the morning running a comb through you hair, throw on some blush, maybe some mascara, and go out the door. You're ready! Men, it's important to be well-groomed, but you by no means have to look like you're ready to hit the runway. Keep the facial hair to a minimum and be aware if you're rocking bedhead or not. Yep, it's really that easy. Bring your umbrella! Even if it's sunny out now, Parisian skies are known to be tricky. So bring your umbrella or go stop at some corner shop and spend a few Euros on a cheap one to last the rest of the week. You'll be glad you're not soaked to the brim when it does rain! Men and women in Paris appreciate the power of accessories to enhance outfits. Bring your sunglasses, watch, jewelry and handbags. Pickpocketing is one of the most common crimes in Paris. 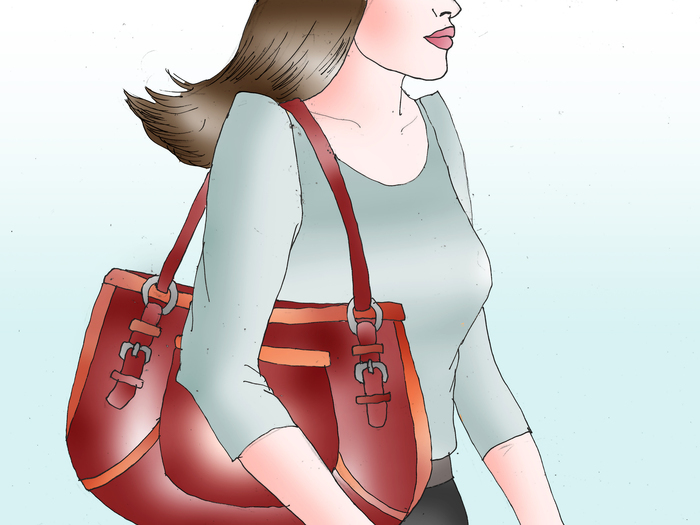 Carry handbags with zippers, and make sure to close your bag when in a crowd. Avoid baggy clothes with large pockets. Some visitors wear money belts under their clothing to store cash, credit cards and identification. Never wear a tracksuit in Paris. This is considered informal and untidy.